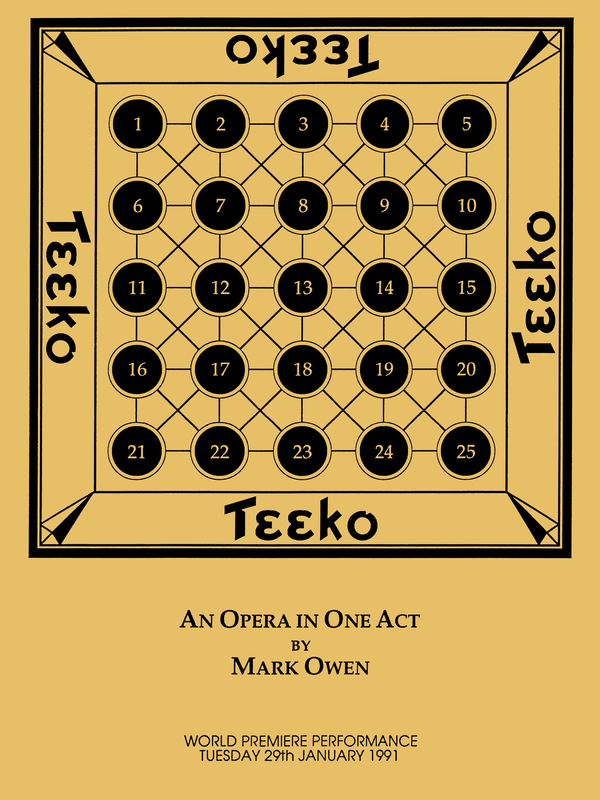 Teeko is a mini-opera based on the eponymous game. The score and programme are copyright but are provided here free for personal use; please e-mail me if you are considering putting on a performance. The score was typeset using an early version of Philip Hazel’s excellent PMW system, which is wholeheartedly recommended.